Yes, that's what you think it is. In fact, 17 percent of New Jersey is farmland, and those farms are superbly fertile during the growing season. Windy Brow Farms, based in the northwestern corner of New Jersey, near the Delaware Water Gap, is embarking on a quest to give New Jersey’s foods their due – in the form of ice cream. The farm’s “Made in Jersey” project showcases unique flavors of homemade ice cream inspired by (and using) iconic ingredients from the Garden State. Sweet corn ice cream is kind of a gimme: Jersey corn is renowned throughout the Northeast. But it’s another one of the custom flavors that’s attracting more attention. That flavor? 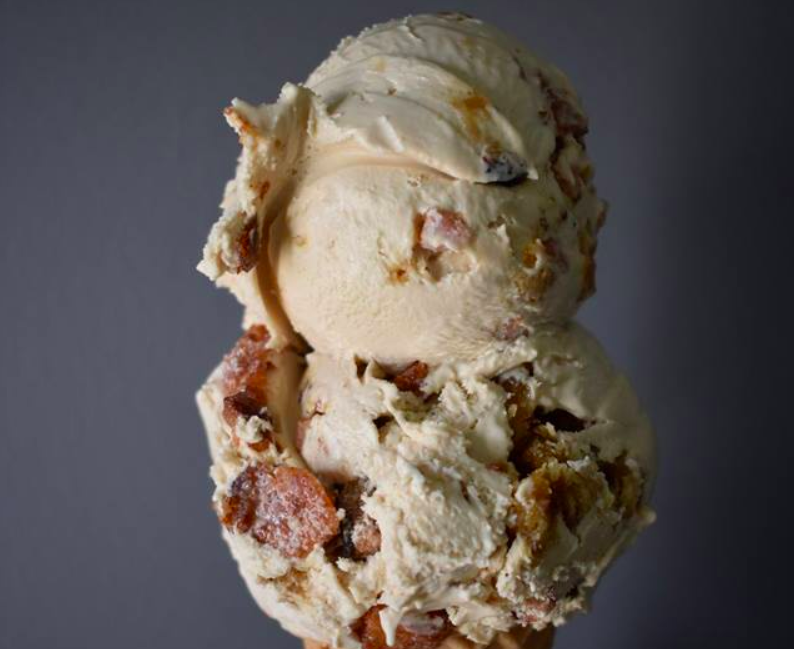 ‘Taylor ham and French toast ice cream.” Yes, you read that right. Taylor ham is a processed pork loaf, somewhere in between Canadian bacon and Spam, and is a fundamental part of Jersey cuisine. In northern New Jersey, it goes by the name Taylor ham; in southern New Jersey, it’s called pork roll. Regardless of the name, it is a sliced pork…thing…that’s almost always fried, griddled, or grilled. It’s most commonly seen in a breakfast sandwich, taking the place of bacon or sausage. Chefs and restaurants have been adding pork things, most often bacon, to ice cream for awhile now; it serves as a salty and sometimes smoky seasoning, adding complexity in the same way sea salt does. But Taylor ham is a whole new approach on the trend. This particular ice cream is a maple ice cream, flavored with maple syrup, chunks of challah, and scattered with bits of candied cinnamon Taylor ham, as reported by Patch. It sounds good. If you’ve tried it, please take to our Facebook or Twitter to tell us what you think.